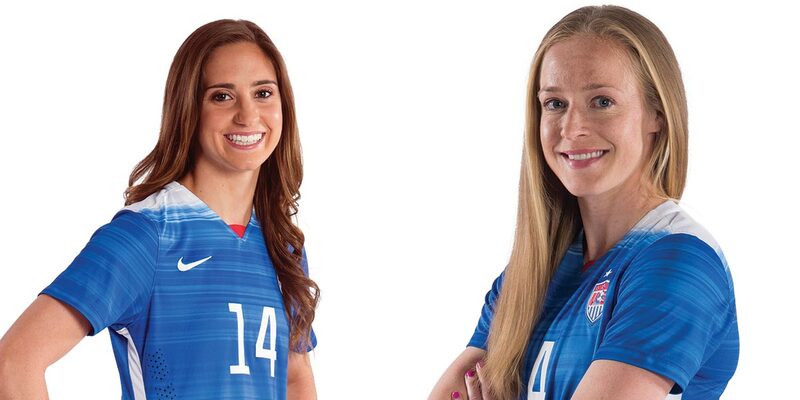 If Virginia head coach Steve Swanson could have, he says he would’ve liked to have kept Morgan Brian (Educ ’15) and Becky Sauerbrunn (Col ’09) in Charlottesville forever. But although they are no longer part of his program, Swanson did have the opportunity to coach them once again during this past summer’s World Cup. Swanson served as an assistant coach for the U.S. team, having the chance to watch his former standout players shine in the international spotlight. Sauerbrunn turned heads with her stellar defensive play throughout the tournament, while Brian provided an offensive spark for her team, starting the final three matches, including the team’s 5-2 victory over Japan in the title game. Having known them both for years, Swanson understood what the former Cavaliers were capable of. 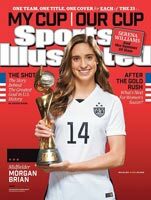 Just last fall, Morgan Brian was starring on the pitch for UVA, en route to a second-straight Hermann Trophy. With her college eligibility behind her, Brian—the No. 1 pick of the 2015 National Women’s Soccer League draft and the ACC Female Athlete of the Year—faced a new challenge this summer as a member of the U.S. Women’s National Team. Brian competed in her first World Cup and was the youngest member of the team. 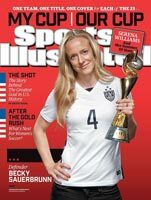 Considered by many to be the most important defensive player for the U.S. team, Becky Sauerbrunn played in her second World Cup this past summer. A tireless competitor, she was on the squad that won the 2014 CONCACAF Women’s Championship and logged every minute of the three matches needed to propel the United States to a World Cup bid. She also played every minute of every World Cup match.